So many words from K. Wow!! Thank you for visiting so I could find you. 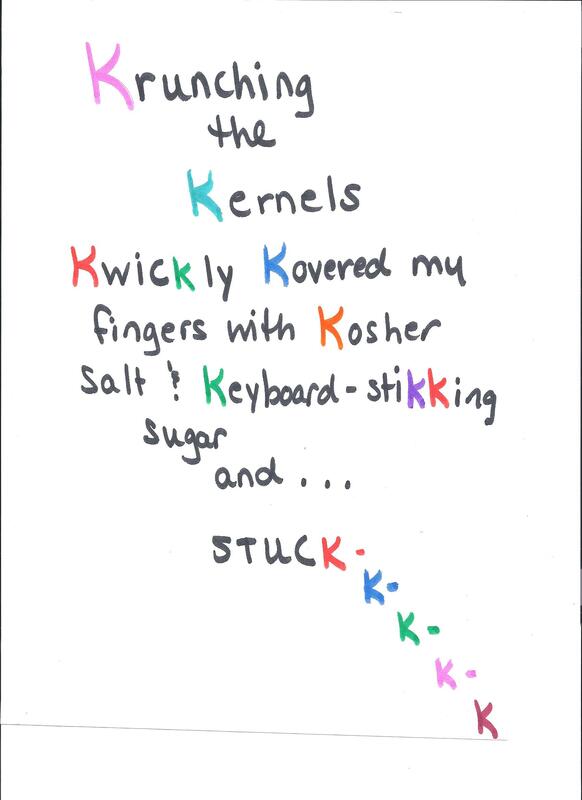 I enjoyed reading back through your K to A’s! I vote drink and we will be its pioneers…mwahaha…..
K would have put me on my knees but this is a kingsized keepsake. Keep kreating! This is great!!!! Love the word kerfuffle! And how you placed it out is really cool! thanks, Carrie-Anne. Your enthusiasm makes me feel good. I appreciate you. Can’t wait to see what you came up with! This was one of those alphas that gnawed and gnawed and finally just flashed at the last moment. I like kerfuffle. I will have to use that for sure. At one of my jobs I had an ongoing debate with one of the guys over the pshaw. To make a weeks of a long story short, he was amazed when he found out it was in the dictionary. Some words just ooze of meaning without having to have one. Hey, that would be a cool subject to explore at some time. It’s a major food group, right? I eat it like Krack!! 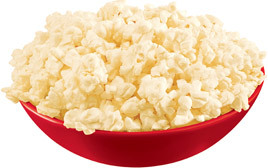 Mostly Vic’s plain popcorn, but once in awhile Kettlecorn. Ha! I loved that. 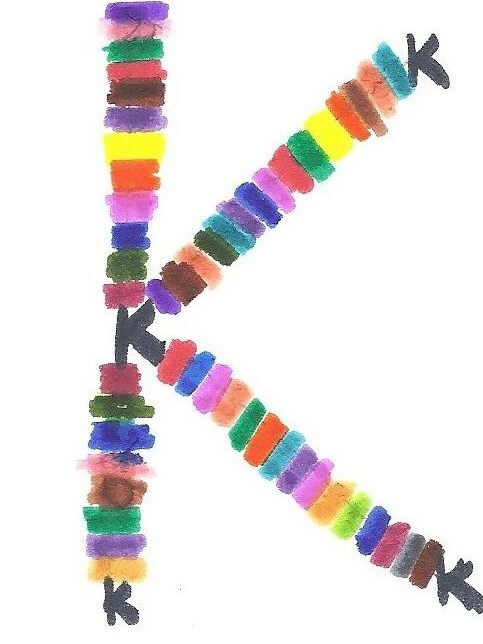 The letter K is my favorite. I blame Sesame Street. Ah Sesame Street – a kerfuffle of kindly karakters 🙂 Thanks for visiting. Very creative. What an imagination! Are you like me? Can’t stop till the whole bag is gone? Yup. Thought so! Thanks for stopping. I love the sound of the word! It rolls off the tongue… quite delightfully! And I love your colourful post! Thanks, Michelle. We need to start using that word more often – instead of “I’m so stressed” let’s go with “I’m so kerfuffled”. Thanks so much for stopping by my blog today! 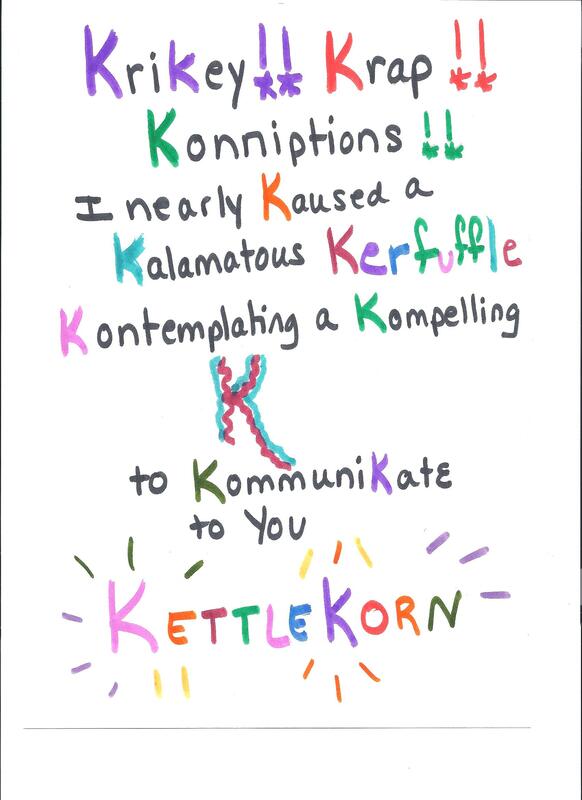 I love that word ‘kerfluffle’ and I almost bought kettlecorn last week. Thank you! I don’t know how kerfuffle came into my head for K, but the other K’s weren’t inspiring me and then this post just came forth! Should celebrate with some Kettlecorn!